Game of Thrones' opening sequence pans over a wooden replica of the lands of Westeros and Essos, key landmarks rising out of the panels in a flurry of cogs and prettiness. Although it's not quite the same, this amazing looking picture book recreates a similar level of awesomeness in pop-up form! A Pop-up Guide To Westeros covers the history of Game of Thrones' settings of the Seven Kingdoms and Essos, from the great Wall in the North, to the far off cities of Astapor and Qarth across the narrow sea, as well the Houses and creatures that inhabit them. Emulating the show's opening style, the pop-up elements rise out of the pages to form huge cardboard replicas of the likes of King's Landing's Red Keep, or Winterfell - as well as smaller displays covering everything from the Kingsguard to Direwolves. Even more impressive is that the whole book can fold out into one gigantic 3D map of Westeros for display purposes (as much as one can display a pop-up picture book). 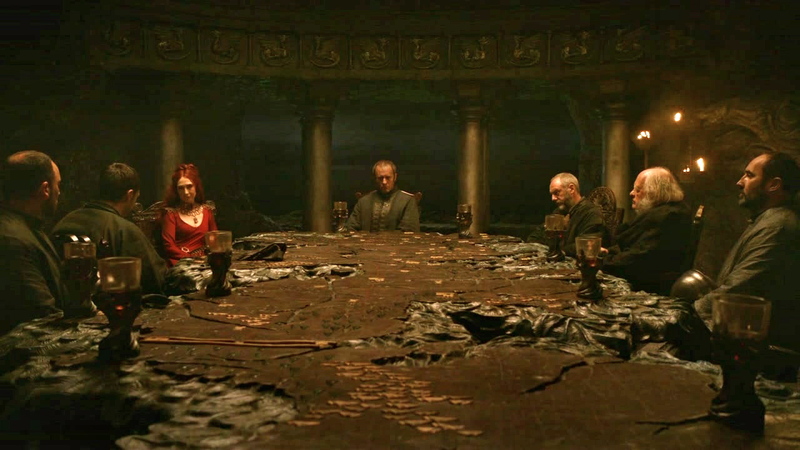 Sure, it's not as fancy as Stannis' Painted Table at Dragonstone, but for for $60 it's almost definitely a lot cheaper. Game of Thrones: A Pop-up Guide To Westeros is out on March 25th in the US, And early April in the UK.